With European Club Soccer officially over in the major European Leagues after this weekend, it’s time to look at 3 men, 3 head coaches, who had their stocks rise higher than anyone else this season. Josep Guardiola from Barcelona, Laurent Blanc from Bordeaux and Felix Magath from Wolfsburg. May 20th, 1992 – Joesp Guardiola captains Barcelona to it’s first ever European Champions Cup victory, a 1-0 win over Sampdoria. 17 years land a week later – Josep Guardiola, “Pep”, manages Barcelona to it’s third Champions title (2-0 over Manchester United), becoming the first Spanish club to achieve a “treble” and became the youngest coach ever to win the Champions League (Guardiola is 38). Guardiola stepped into Frank Rijkaard’s shoes after two disappointing seasons following three very successful seasons (2 league titles, one champions league title). He cleaned the stables after the social situation at the club seemed to be destroying and wrecking it from within – Ronaldinho, Deco, Zambrotta, Thuram and Edmilso were sold to other clubs. Guardiola eventually kept Samuel Eto’o after declaring he will be let go and the Cameroonian Striker repaid him with 30 league goals and a goal in the Champions League Final. 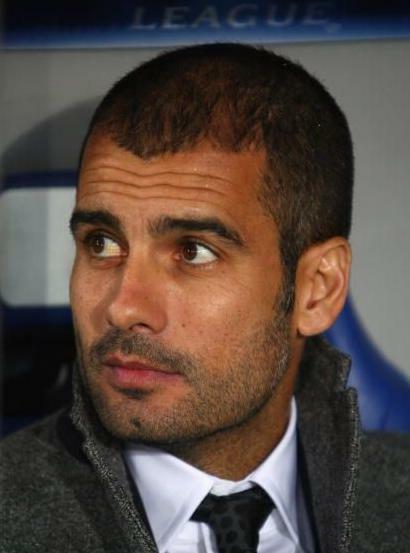 Guardiola brought Daniel Alves, Gerard Pique, Seydou Keita, Martin Caceres and Aliaksandr Hleb. He made the team quicker, and eventually happier despite not adding any major stars to the squad. Messi, Henry and Eto’o provided with Iniesta, Xavi and Yaya Toure backing them up a record breaking goal scoring season. This team will go down into the history books with the results and the quality of soccer they produced throughout the season, and Guardiola, who seemed to be in total control throughout the season’s highs and lows deserves all the praise. Last time Bordeaux won the title it was 1999, and Lyon didn’t have title to it’s name. 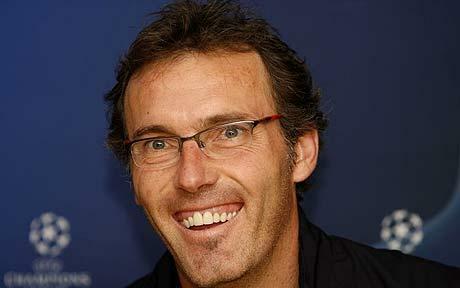 8 years later, July 2007 and Laurent Blanc, 4 years afte retiring from playing is appointed as the new manager of FC Girondins de Bordeaux. He led the team to a second place finish, only 4 points behind Lyon, hinting on things to come. He got Yoann Gourcuff on loan from Milan at the beginning of this season, and the rest is history. Gourcuff, Fernando Cavenaghi and Marouane Chamakh led the team in a tight and exciting championship race against Lyon, Marseille and also Tolouse and PSG up to a certain point, playing fantastic soccer along the way and eventually bringing Bordeaux it’s 6th League title with a lot of help from Lyon, who beat Marseille 3-1 at home putting Bordeaux on top late in the season. Blanc was able to secure the signing of Gourcuff, the most important piece of the puzzle but will have to deal with departure of a few players, firstly Chamakh. He will have a tough job next year, trying to retain the title against Lyon and Marseille and who knows who else with trying to getting past the group stages in the Champions League but Blanc can be happy and rest until July. Knocking off Lyon from the top after 7 makes him one of the biggest winners in European soccer this season. Magath is no stranger to titles. He won two straight with Bayern Munich in the 2004-2005 season and the 2005-2006, two straight domestic doubles that is. He was fired next season after a disappointing first half of the season (in Bayern standards) and a first round Champions Leauge exit. Magath started the next season as coach of Vfl Wolfsburg, receiving the team after two seasons in which the club avoided relegation right before the season ended. Magath immediately turned Wolfsburg back into a top-tier team, finishing 5th and grabbing a place in the UEFA Cup. 2008-2009 was another upgrade. A major upgrade. Wolfsburg kept a low profile, and kept a nearly perfect home record before their second half of the season assault on the title. Until then Bayern, Hamburg, Hertha Berlin and even Hoffenheim seemed the more likely teams to finish top. Wolfsburg were revived in the second half of the season, with Edin Dzeko and Grafite scoring non stop for the team, combining for 54 goals. The team had a 10 game winning streak going for them at a certain point, tying a Bundesliga record. Magath seemed to screw things up after it was announced he would be leaving to Schalke 04 and it seemed to put his team in a downward spiral but they bounced back soon enough. A 5-1 win on the final day over Werder Bremen sealed the first ever league title for Wolfsburg and their first appearance in the Champion League for next year. Magath was also able to ruin Bayern Munich’s championship hopes by beating them to the title and with a memorable victory on April 4th, 5-1. 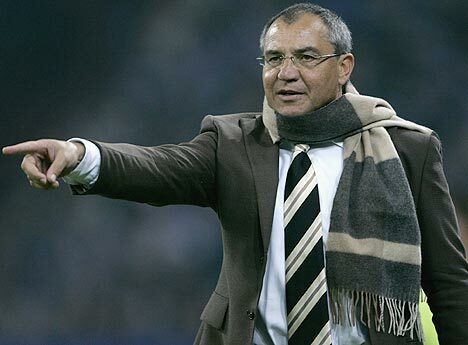 Magath completed his revenge before moving on to Schalke, leaving as a winner and champion from Wolfsburg.